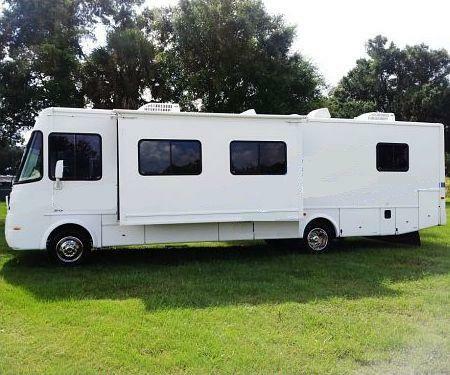 Shortly after purchasing a new motor home, the owner noticed wind noise and water leaks along the doors and windows as well as interior panels which had become "bumpy" and discolored. At one point upon opening the glove box, the owner found mildewed vehicle paperwork floating in water. Subsequent repairs were made by the dealer on several occasions. The owner later took the vehicle on a trip to Florida and left it parked for a month unattended. Upon returning, mushrooms and mold were found growing in numerous locations. The dealer again supposedly made repairs. 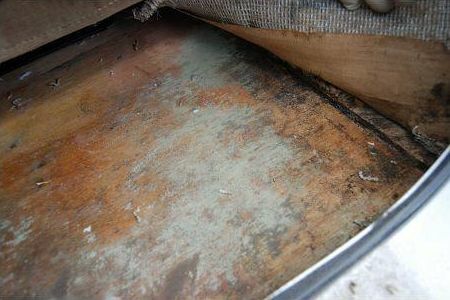 Later, upon noting a "musky" smell and removing the interior panels, the owner found one entire wall covered with black mold. Peeled-back carpets revealed a black and spongy floor. The owner attempted to clean and remove the mold without respiratory protection and continued to reside in the vehicle while in Florida. 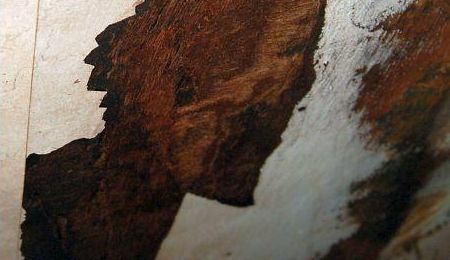 Several months later, a suspicious spot on the owner's lung was discovered during a regular medical scan. Due to a family history of lung cancer, physicians opted to excise the growth surgically. The pathology report confirmed that the spot was an aspergilloma (fungus ball) growing on the lung. Independent expert sampling of the vehicle's air measured an Aspergillus count of 5,020 cfu (colony forming units) per m3 and a Stachybotrys count of 78 cfu/m.3 These very high spore concentrations were obtained "post-remediation." The owner filed a lawsuit for damages, alleging negligence of both the manufacturer and the repair shop(s). Dr. Sawyer was retained to perform an independent causation assessment as an expert toxicologist for the plaintiff. Defendants contended that the plaintiff's lung growth was not an aspergilloma and/or was spontaneous and not related to the mold in the motor home. Defendants noted plaintiff's demonstrable medical history with respect to respiratory infections and attempted to characterize the malady as "merely the latest in a pattern." They contended that the particular mold species in the vehicle could not have caused the aspergilloma for which plaintiff had been diagnosed. They further objected to the methodology used to determine the type(s) and quantities of mold present — and moved to strike the results. Specific causation is more difficult to demonstrate than general causation. The toxicologist must satisfy a stringent set of conditions before a causative conclusion is reached. Dr. Sawyer elected to apply a weight-of-evidence (WOE) approach to his assessment using the toxicological methodology developed by Sir Bradford Hill for inferring causation. In practice, this amounts to exhaustive research and a process of elimination achieved by thoroughly reviewing several types of evidence. This includes the documented effects of the plaintiff's exposure and medical history as well as all of the available experimental and human epidemiological literature. Plaintiff had been prescribed corticosteroids (Prednisone) for treatment of a rotator cuff injury during the period of exposure. Various toxicological studies cite three weeks of steroid therapy as a risk factor for aspergillosis. Defendants took strong exception to Dr. Sawyer's report and filed a federal court motion to exclude it under the Daubert Standard which provides rules of evidence governing the admissibility of expert witness testimony during legal proceedings. Defendants' Motion To Exclude contended that Dr. Sawyer's methodology was flawed and his conclusions unreliable. Defendants further contended that Dr. Sawyer's testimony should be excluded because he did not perform any independent testing of the motor home. 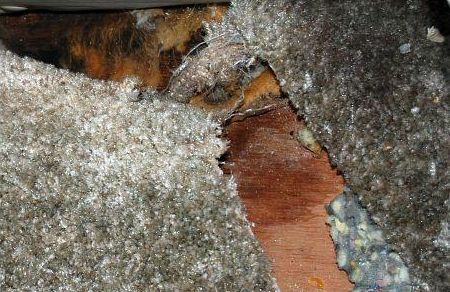 However, many years had elapsed between the first discovery of mold growth and Dr. Sawyer's retention as plaintiff's expert. Since "independent testing" would have been impossible, Dr. Sawyer relied on earlier testing performed by a CIH (Certified Induistrial Hygenist). Defendants had retained an industrial engineering expert who specialized in molds and fungi. He contended that (a) all of the mold in the motor home "might" have been some other species and further contended that (b) there can be no "potential" causative relationship (despite the measured levels of mold spores in the air samples); therefore, none of plaintiff's expert reports (including Dr. Sawyer's) could be considered to be scientifically reliable — and should, therefore, be excluded. Dr. Sawyer pointed out in his rebuttal that it was not his opinion that plaintiff had been infected with invasive Aspergillosis, but rather was hosting a species of Aspergillus within her lung. With regard to defendants' contentions, Dr. Sawyer noted that defendants' own expert had published materials to the effect that (a) Aspergillus and Penicillium species are two of the most ubiquitous fungi known, (b) it is common for both species to be present indoors, (c) high concentrations of airborne spores can exist in contaminated indoor areas, (d) Aspergillus spores can pose health risks when inhaled, and (e) they are known to cause respiratory symptoms and diseases. Dr. Sawyer noted that it was not possible to reconcile these facts with expert testimony that "...there can be no potential causative relationship." This self-contradiction strongly suggested a lack of objectivity on the part of defendants' expert. Dr. Sawyer's analysis and opinions establish specific causation and are sufficiently supported by scientific data and evidence in the record. 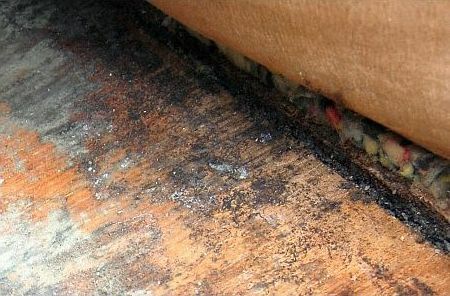 Before concluding that plaintiff's exposure to the levels of toxic mold in the vehicle is consistent with the diagnosis of aspergilloma, Dr. Sawyer detailed plaintiff's pertinent medical history, weakened immune system, family's medical history, and history of hospitalizations and cigarette smoking. He also noted that aspergillus grows on organic debris and occurs naturally in some outdoor and hospital environments. It is reasonable to infer that Dr. Sawyer took into account, and ultimately ruled out, these possible factors before concluding that the high levels of aspergillus, penicillium, and stachybotrys found in the vehicle caused the medical condition. … Dr. Sawyer noted that the levels of aspergillus found in the vehicle "are in the extreme upper range of any values ever reported in the literature for living quarter environments." … [therefore] defendants' motion to preclude plaintiff's expert is DENIED. "Mold and fungi can produce toxic reactions including invasive growths, irritation of eyes, nose and throat, wheezing and exacerbation of asthma. Only a full toxicological assessment can quantify an exposure, especially if refuting or demonstrating causation."